Discovering damage to a roof in Gilbert is never a pleasant experience. 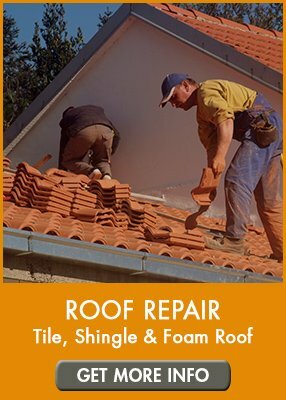 Whether it’s a minor leak, a few broken tiles or missing shingles, having your roof fixed by a professional roofing repair company ensures it’s completed correctly – the first time. For those situations when you’ve discovered any form of roof damage, working with a reliable, trustworthy, and experienced roof repair company like AZ Roofing Works makes all the difference. AZ Roofing Works is a licensed, bonded and insured roofing company, headquartered in Mesa, Arizona. Our locally-owned roofing business has been serving Gilbert home owners, real estate agents, and property managers with high-quality roofing repair solutions since 2013. 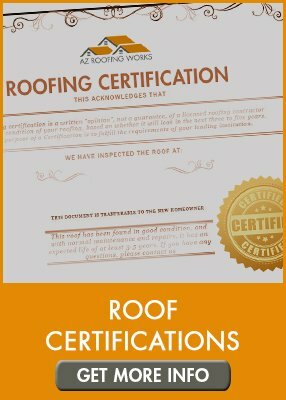 AZ Roofing Works leverages dedication to quality over quantity, our extensive knowledge, and proven results to complete our roofing repairs in Gilbert in a timely manner, and always with a focus on superior craftsmanship. Cracked & Sliding Tiles: If a tile is cracked due to excessive exposure to our harsh weather conditions or being struck by debris or other natural causes, it will require replacement. Failure to do so on a timely basis may result in damage to the underlayment and can lead to leaks. Corrosion: One item that Phoenix deals with frequently are excessive winds and blowing sand. Over time, the blowing sand will cause corrosion and lead to thin or worn out tiles. When they become too thin, they will require replacement to avoid damage to underlayment materials. Granule Loss: A shingle is comprised of multiple layers – the outer being granular. This is usually the first layer of a shingle to become damaged due to wear and tear. 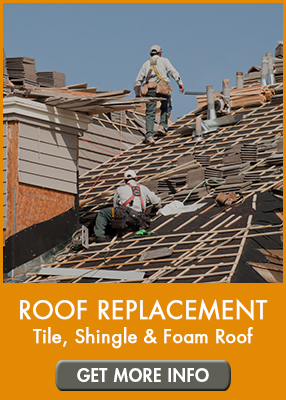 If damaged shingles are not replaced or areas repaired, it can expose the underlayment and lead to significant roof damage. Buckled or Curling Shingles: Flexible materials that make up an asphalt or polymer shingle can warp, buckle or curl due to extreme heat and temperatures we experience half of the year. When the shingles are damaged, it can expose the underlayment. Several high-end and luxury homes feature flat or foam roofs. While they are known for having an aesthetic appeal, flat roofs are also exceptionally energy efficient. However, they are not built impervious. In fact, there are a few common issues that can cause damage and require a flat roof repair in Gilbert. A Cracked Membrane: The membrane is a thin underlayment that helps provide protection from leaks. They are installed under some flat roofs but can crack due to excessive exposure to heat, excessive water damage or poor installation. Ponding Water: Flat roofs are built with multiple points of drainage that helps to increase the removal of water. If the drainage is blocked, water can pool on the roof, causing damage to membranes and other underlayment materials and possibly causing roof leaking.